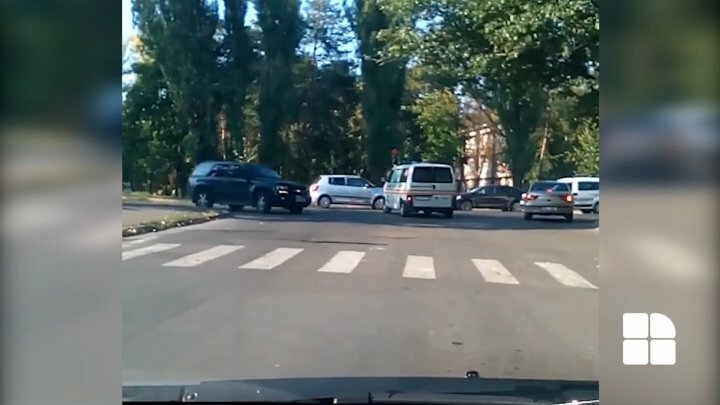 The lack of common sense of Moldovan drivers seems to no longer amaze anyone. After failing to comply with road regulations by overtaking the maximum speed and causing accidents, drivers have no longer passed the passage of priority-traffic vehicles. A camcorder caught the moment when an ambulance in the mission, with the lights and beeps turned on, is forced by drivers to stop their journey because they are not allowed to pass. Raging images were distributed on social networks. PUBLIKA.MD reminds all drivers that the traffic regulations of the Republic of Moldova expressly state what are the obligations of drivers in the case of vehicles with a priority traffic regime. "Vehicles of the Ministry of Internal Affairs, the Ministry of Defense, the Intelligence and Security Service, the Department of Penitentiary Institutions of the Ministry of Justice, the State Protection and Guard Service, the Mobile Service teams of the Customs Service, those for fire extinguishing, the ambulances that are equipped with bright signals and special sounds in accordance with paragraph 38 of this Regulation and which are specially painted when performing urgent service missions may deviate from the requirements of the Regulation in question (with the exception of Chapter II, Chapter III, Sections 2 and 8th, Chapter IV, Section 18), provided that the necessary precautions are taken to avoid any traffic accident. " "106. (1) When approaching a vehicle with a round-the-blue or lightning-beam device and a special audible signal, the drivers of other vehicles shall ensure that they are uninterrupted, irrespective of their direction of travel, including releasing the lane on which the vehicle with the priority traffic regime moves as close as possible to the curb, to the marshalling yard or, even if necessary, to stop". Drivers are urged to read Road Traffic Regulations! If you have been witnessing an interesting situation, send the captured images to contact@publika.md or via the NEWSERVER page on PUBLIKA.MD and they will be seen by a whole country. At the same time, you can also send us materials on or Whatsapp to your phone 060 88 11 00.